Russian literature has started to regain the spring in its step in the 21st century. The most interesting works on offer today will be presented at the London Book Fair – Russia Market Focus 2011, which will take place from April 11-13 at Earls Court. Representing the trends and genres that have evolved and flourished over the past decade, the following 10 books are among the most notable now available in English translation. Moscow, the early 20th century. Senka the thief falls for a mysterious beauty nicknamed Death, whose previous lovers all died in suspicious circumstances. Senka witnesses horrific events but is saved by Erast Fandorin, a detective who is Russia’s answer to Sherlock Holmes. Boris Akunin is the pen name of the philologist and Japanese-Russian translator Grigory Chkhartishvili, whose postmodernist detective novels have become bestsellers and movies. His works are set in the late 19th and early 20th centuries, a period well known to aficionados of Russian literature as the heyday of Fyodor Dostoevsky and Leo Tolstoy. Akunin marshals his material with great elegance, and his novels are studded with hidden pearls from classical literature. A highly ironic description of civil war in Russia in the 21st century, where the Varangians are pitched against th e Khazars. Both warring sides are in essence alien to Russian soil and show scant concern for the fate of its people. The charact ers clearly evoke biting literary caricatures of contemporary Russian publicists and political analysts. Dmitry Bykov is not only a novelist but also a poet, television and radio host, columnist, critic and the author of an impressive biography of Boris Pasternak, which hit the literary jackpot in 2006, when Bykov received two of Russia’s most prestigious book awards: the National Bestseller and the Big Book. The tale of Paco Araya, a dashing Russian superspy working undercover in the US who comes to Paris for the weekend. While attending to some personal business, he must also locate a lost container holding a hazardous substance. Kostin’s publishing house insists he himself is not a spy, but he has extensively studied the ins and outs of the world’s intelligence services. There is a distinct deficit of good-quality spy novels in Russia, but Kostin’s work is a cut above the coffee-table action novels that permeate the mass market. This book combines a format and genre that remain largely unknown in Russia – the short story and horror – and features eight terrifying yarns, including an ant colony living inside a teenager; a description of Moscow destroyed after a war between humans and androids; and a southbound train chugging into an unknown dimension. The effect produced is that of sheer fear, largely due to the simplistic style of the language and the realistic reportage-style descriptions. An Akward Age is the debut work of this young Moscow journalist (born 1978). It was followed by her equally chilling but less successful novel Asylum 3/9 , and a critically acclaimed novel based on the feature-length animation film First Squad . Besides ordinary citizens, there are “others” living in this world. They have the outward appearance of ordinary people but they are gifted with supernatural powers. The “others” are divided into “dark” (bad) and “white” (good). 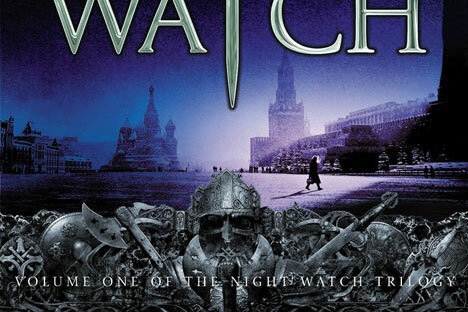 The main character in the series, Anton Gorodetsky, is a white magician working in the the “night watch”, a white special service charged with ensuring the dark forces do not work their mischief at night. A former psychiatrist, Sergei Lukyanenko is the most popular and best-selling author among contemporary Russian science-fiction writers; he is also one of the most popular bloggers in the Russian-language internet. In the Night Watch series, he has created a parallel universe exactly like ours – even the major historical events are the same – only everything in it is explained by the confrontation between the dark and the white. Ludmila Ulitskaya works in an area that could be defined as intellectual female prose. Ulitskaya has received an impressive array of awards, the most recent of which is the French Simone de Beauvoir Prize (2011). A true story, it follows the escapades of a Polish Jew, who managed to not only survive the Second World War but also to save hundreds of people from Nazi concentration camps. Based on the life of translator, hero, and monk Oswald Rufeisen (1922–1998), the novel was both praised and disparaged in Russia, yet won Ulitskaya the Big Book award. A collection of novellas about what it is like to be a Chechen. German Sadulaev was born in the town of Shali to a Chechen father and a Russian mother and now lives in St Petersburg. There are two distinct directions in his work that could be termed the “mountain theme” and the “city theme”. The first is far more interesting, in particular, his books I am a Chechen and The Raid on Shali . Sadulaev is second to none on this topic; there are very few who would dare to write about the Chechens on behalf of the Chechens themselves. A novel about love and revolution set in the near, rather gloomy, future. The events take place in a town resembling both the author’s hometown of Yekaterinburg and a classic, anti-utopian metropolis with mysticism, gangs, a polluted environment, social inequality and an atmosphere of impending revolution. 2017 is Slavnikova’s most successful novel, receiving the Russian Booker prize. This serious author’s distinctive feature lies in the courage she displays when experimenting with such traditionally light-branded genres as romance novels and contemporary city prose. It’s 2033. Twenty years have passed since nuclear war destroyed the world, and the pitiful remnants of Moscow's population is struggling to survive in Metro stations and tunnels where they have established a primitive economy, raising pigs and growing tea. Meanwhile, they have also created over a dozen mini-states, some on the outskirts that suffer from mutant invasions, and from where one inhabitant goes on a journey in search of help. Muscovite Dmitry Glukhovsky has lived in Israel, Germany and France. It took him eight years to write Metro 2033 , which may partly explain his book’s popularity: it is not merely post-apocalyptic science fiction, but a true coming-of-age novel. Eight people meet on a certain website in a certain chat room. They begin communicating and through a series of innuendos and tiny details they, as well as the reader, quickly gather that they are locked in a virtual labyrinth – the very same labyrinth as featured in the Theseus and Minotaur myth. As they try to escape, fearing an encounter with the beast, they endeavour to maintain communicating with each other. A near consensus has been reached in Russia regarding Pelevin, with literary circles tending to agree that he is one of the most important contemporary Russian authors. Once a year, as autumn approaches, Pelevin publishes a new novel, novella or a collection of short stories in which he renders an accurate, if rather cynical, description of life in Russia. Pelevin’s work is increasingly seen as a treasure trove for future historians. Russia will be Market Focus and Guest of Honour at London Book Fair 2011. The Russian Federal Agency for Press and Mass Communications and Academia Rossica, in partnership with the British Council and London Book Fair, will celebrate contemporary Russian literature, and introduce new Russian authors to UK readers. To win tickets to author events follow Academia Rossica on Facebookwww.facebook.com/academiarossica.